I am offering a very helpful service called Discernment Counseling, stemming from Bill Doherty’s “Couples on the Brink” project. From my experience at least 1/3 of the couples I see come in with differing agendas about whether to try and save the marriage or move toward divorce. One person is "leaning out," or wanting to go, while the other is "leaning in," or wanting to stay. In discernment counseling, I help the leaning-out spouse decide if the decision to leave the marriage is the correct one, and work on strategies for the leaning-in spouse to cope in a way that doesn't make the situation worse—without pleading, pushing or otherwise turning off the already irritated spouse. 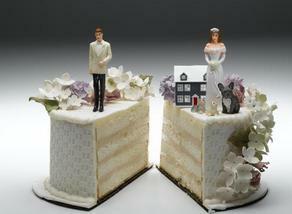 These mixed agenda couples often can find traditional couples counseling frustrating and unhelpful. The discernment counselor helps individuals and couples decide whether to try to restore their marriage to health, move towards ending the relationship, or take a time out and decide later. The sessions are divided between conversation with the couple together and individual conversations with each spouse. The counselor respects the reasons for divorce while trying to open up the possibility of restoring the marriage to health. Discernment counseling involves a maximum of five counseling sessions. The first session is usually 2 hours, and subsequent sessions are 1.5 to 2 hours. there is an Order of Protection from the court.